Hong Kong, 30 July, 2018 - Advanced Card Systems Ltd. (ACS), Asia Pacific's top supplier and one of the world's top 3 suppliers of PC-linked smart card readers (Source: Frost & Sullivan), will be an exhibitor at the 2018 (10th) China International Internet of Things Exhibition (IoTE 2018). This year, the event will be held in Shenzhen, China, at the Shenzhen Convention and Exhibition Center from 31 July to 2 August. ACS will be in Booth 1A412, Hall 1. Visitors are welcome to drop by the ACS booth to discover a variety of ACS products. 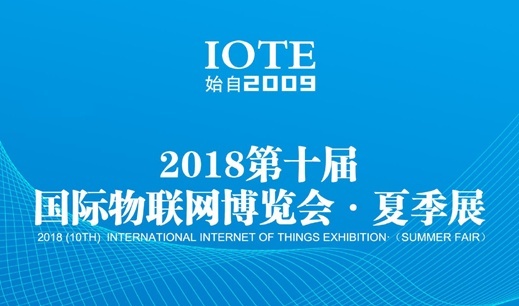 IOTE 2018 is the largest and most specialized IoT expo in China. It exhibits the advanced technologies of IoT, sensor network, wireless communication, smart retail, auto identification, smart home, and etc. As a frontrunner in the smart card industry, ACS will display its newly launched products, including ACOSJ, a cryptographic smart card solution that is powered by Java and compliant with GlobalPlatform Card specifications; ACR1311-N2 , a contactless mobile card reader that combines NFC and Bluetooth® technologies; ACR3902, a Bluetooth contact smart card reader; ACR39U, a PC-linked contact card reader; and ACR123U-C8, a PC-linked contactless card reader that supports card top-up via 2D barcode. ACS will also display its latest AMR220-C1, a secure Bluetooth® mPOS reader which is designed to support both contactless and contact card applications. With its technology, expertise and global resources, ACS is dedicated to facilitate an easier adoption of smart card applications in different industries across the globe. For more information on the event, visit http://eng.iotexpo.com.cn/. For more information on ACS products and solutions, email info@acs.com.hk or visit www.acs.com.hk.